Details: The project is coming up at Pragati Nagar in Hyderabad spread over 1 acre of land. 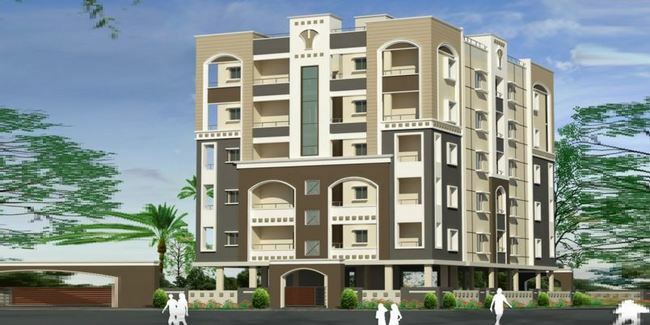 The project offers 1 tower with G+5 floors, having 20 units of 2 BHK apartments. Apart from the basic amenities, the project offers Solar fencing, Video door phones, Gym area, Function area for 50 persons can be used for yoga, Elevation tiles cladding around main door, Kitchen tiles up to 3 feet, etc. RR Dist, Hyderabad – 72, Telangana.